R&M Insurance Agency, Inc. is your number one provider of personal lines of coverage, including Auto, Home, Umbrella and small business insurance. We believe in service with a personal touch, just for you. We will help you find the best products with price to meet all of your needs, and are always here to answer any question or concern you may have along the way. The vision of R&M Insurance Agency, Inc. is to best protect the property and assets of all of our customers both present and future, while continuing to always provide a caring and personal service to everyone. In the contemporary business world, integrity is one of the most sought-after qualities not only of individual employees but of companies. People often define integrity as doing the right thing even when no one else is around. It is the ability to act with honesty and be consistent in whatever it is you are doing based on the particular moral, ethical or belief compass you have. “Time management” is the process of organizing and planning how to divide your time between specific activities. Good time management enables you to work smarter – not harder – so that you get more done in less time, even when the time is tight and pressures are high. Failing to manage your time damages your effectiveness and causes stress. Dependability is an important quality for a worker to possess because it enhances a wide variety of job performance categories. A dependable employee not only shows up for work on time every day but also produces consistent work and can apply company policies and business strategies evenly to each task and assignment. Dependability can lead to job security, which is all too important in tough economic times. In Business, as in life, people start projects, from writing a song, to writing a novel, to landscaping their backyard. Some fail, not because they were incapable, but because they lost faith in achieving the goal. Drawing strength from faith in Christ empowers a person to go beyond their deemed limits, and a company to exceed and overcome all obstacles and expectations. Being family owned and operated, R&M Property Resources, is able to provide the personal service and benefits that allow customers to let us help them with their own individual needs. When it comes to your investments, your assets, your property, the smart choice is R&M Property Resources. Family owned, community oriented and a “people first” company where your every need and want will be met, as well as a customer service that is second to none. Q: Why should I carry high liability limits? New York State is a very litigious state. When an accident happens and someone is seriously hurt a lawsuit usually occurs. By carrying high limits, you are protecting your home, auto and other assets. Q: why should i carry comprehensive and collision coverages on my vehicle? When you have a newer vehicle or a loan on a vehicle, and you incur a loss for fire or theft or collision, you or your bank will be reimbursed for the damage to your vehicle. If you do not have this coverage and you incur a loss, you and your family will be in a very dangerous situation. Q: why are my auto insurance premiums increasing? When a new vehicle is purchased replacing an older vehicle, the cost of Comprehensive and Collision increases due to the higher cost of the vehicle. All insurance companies doing business in the State of New York are subject to NYS Financial Services rules and regulations. The companies are subject to review their rates due to the number of their claims. The more claims/losses a company sustains will result in higher rates for that company. Q: why are my homeowners insurance premiums increasing? As the value of your home increases to keep with replacement value the dwelling coverage goes up and the premium increases accordingly. Q: why must i insure my home to replace value? When a home is insured at Replacement Value and a loss occurs, that loss will be settled at 100% with no depreciation. 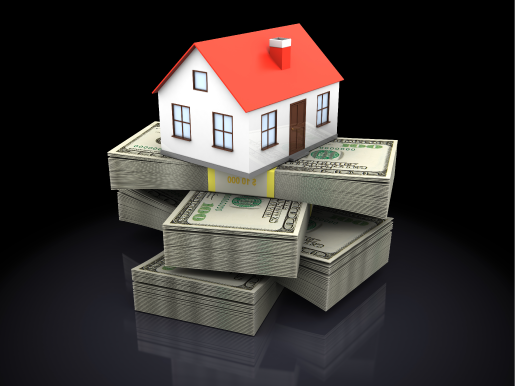 If your home is insured for Actual Cash Value (ACV) then your loss will be settled with a depreciation percentage. Q: what is a personal umbrella liability policy and why should i have one? This policy covers over and above the liability limits you carry on your Auto, Home or other properties or vehicles. If a claim/loss occurs and your primary policies’ limits are exhausted, then this Umbrella coverage will give you additional liability coverage.